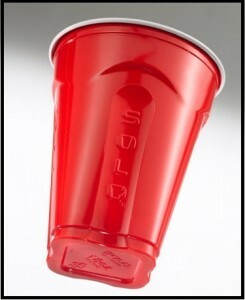 Mason — Dart Container Corp. said late Wednesday that it reached an agreement to buy Solo Cup Co., maker of the red plastic cups ubiquitous enough to be immortalized in a country song, in a deal the companies valued at $1 billion. The deal, which also includes the assumption of about $700 million in debt, is subject to regulatory approval and is expected to close by the third quarter, Dart said. Mason, Mich.-based Dart, which says it is the world’s largest maker of foam cups and makes more than 600 products, said the addition of Solo will broaden its product lineup and the kinds of materials they are made from. In addition to the red cups, Lake Forest, Ill.-based Solo makes a variety of disposable food and drink containers out of paper, plastic and recycled materials. Solo was founded in 1936 as a paper container company and introduced its signature red plastic cup in the 1970s, according to the company’s website. Country singer Toby Keith had a hit song last year toasting the cup’s virtues as a mainstay of barbecues, parties and festivals. The company is currently owned by the family of its founder, Leo Hulseman, along with private equity firm Vestar Capital Partners. Its 2010 sales totaled $1.6 billion, according to a regulatory filing. Dart, which was founded in 1960 and remains family owned and operated, said it plans to continue offering products under the Solo brand, including the red cups. The two companies will operate independently until the deal closes, Dart said. Goldman, Sachs & Co. acted as lead financial adviser to Solo. Ernst & Young Corporate Finance Inc. advised Dart.